Top step is 21" deep for additional comfort and safety. 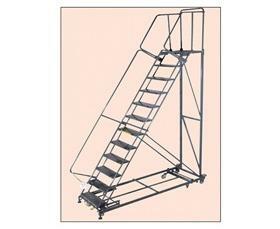 Unique 50° stairway slope for easy forward ascent or descent. Intermediate steps are 7" D. Built to OSHA and ANSI standards. CAL OSHA available. Tread available in Serrated Grating (G), Expanded Metal (X), Perforated Step (P) and Abrasive Mat (R). 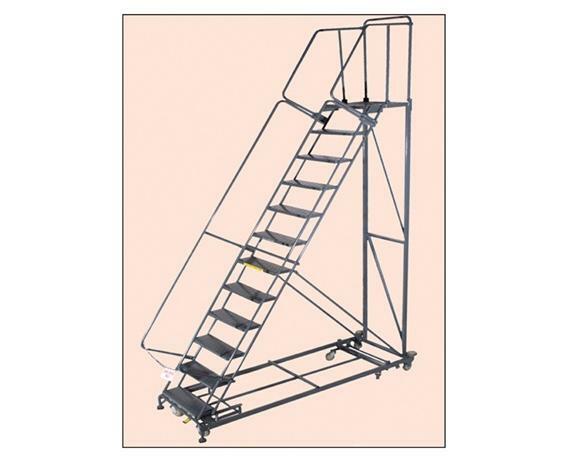 Ladders shipped knocked down; for setup and additional options see the Related Items tab below. Gray powder coat finish. FOB Shipping Point. 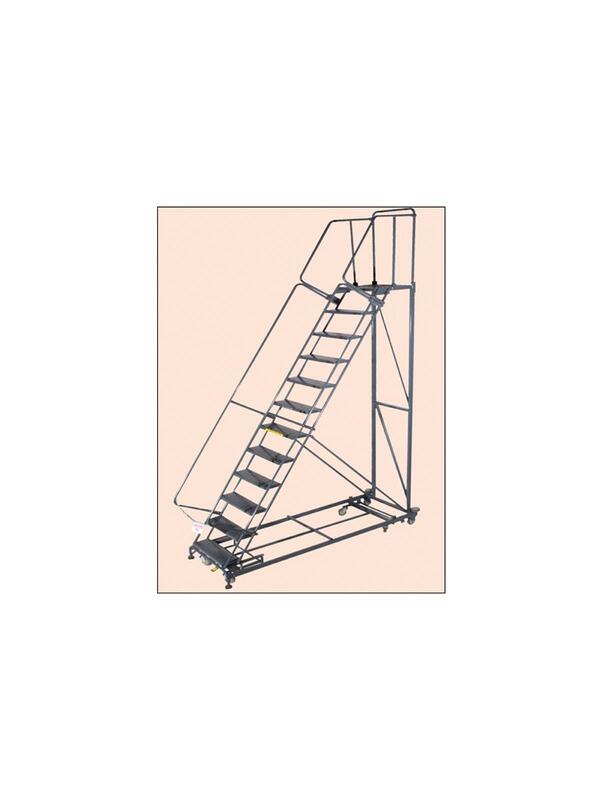 See the Related Items tab for Options for Heavy Duty 600 Lb Ladder.